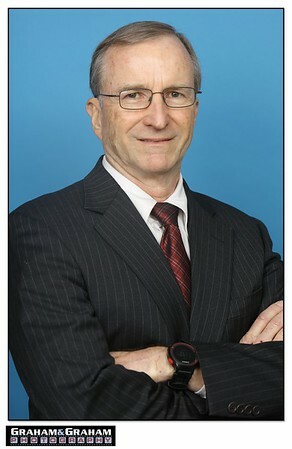 John Shaw is a Torrance based lawyer specializing in mediation. He is an elected member of the American Board of Trial Advocates, and has resolved cases involving catastrophic injury and death for firms involving construction site and industrial accidents. He has served as a judge pro tem for the L.A. Superior Court pilot mandatory settlement conference program, and has argued in the U.S. 9th Circuit Court of Appeals and California District Court of Appeals. Photographed in the new Shaw Koepke and Satter offices in Torrance.